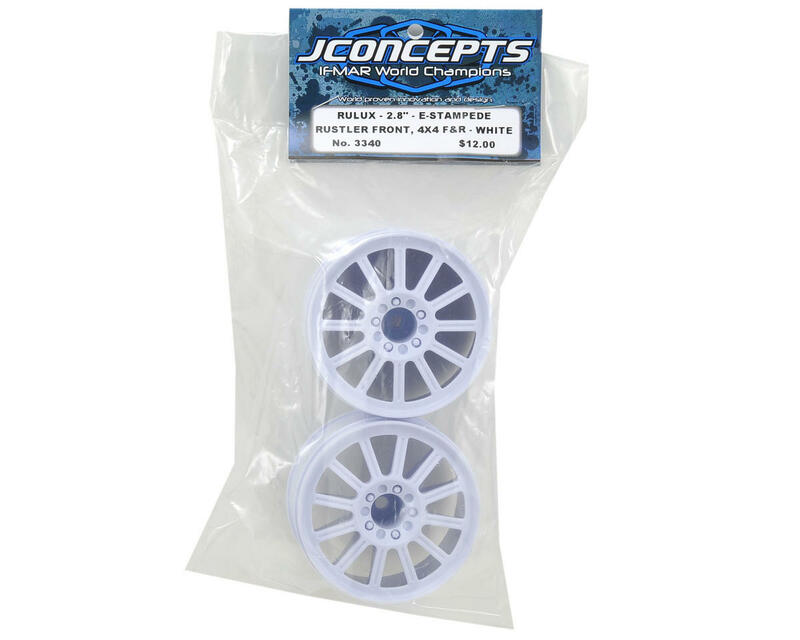 This is a set of two JConcepts Rulux 2.8" Front Wheels with 12mm Hexes, and are intended for use on the front and rear of the Traxxas Stampede 4x4, as well as the front of the electric 2WD Stampede, and Rustler trucks. JConcepts has brought the Rulux 12mm hex design to the Stampede 4x4, Stampede and Rustler 2wd trucks. 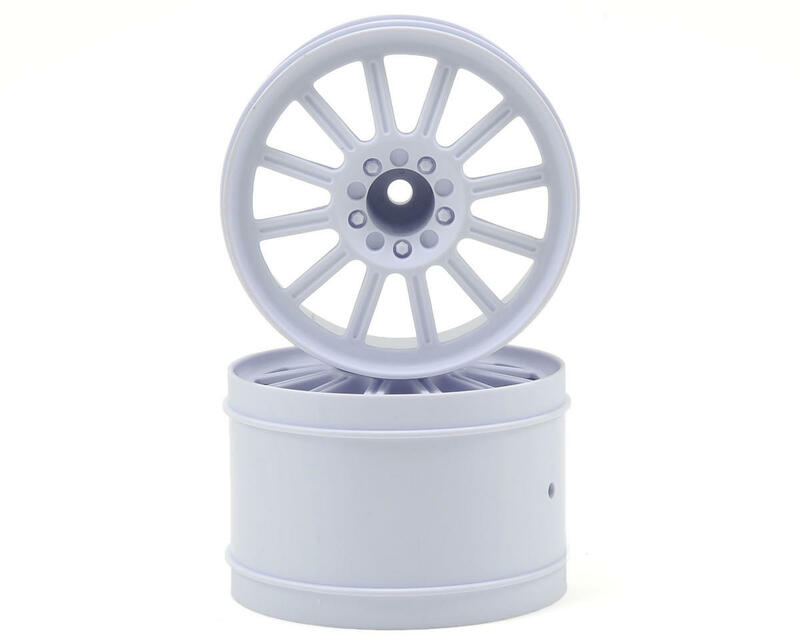 Based on the standardized 2.8" Traxxas wheel and tire configurations the Rulux wheel is interchangeable with many popular combinations, and offers a look that is unmistakably JConcepts. No detail has been missed with these beauties as the Rulux wheel incorporates a lug nut and spoke affect that emulates the real thing. Wheel profile, interior and exterior ribbing, thick sectional and spoke design were all areas of focus while creating the perfect combination of durability, clearance, functionality and appearance. With the black color and a matte face appearance, being unique is worry free as practically any paint scheme can be matched to these exciting new wheels. The hassle-free and lightweight 1-piece design creates the ultimate race and show wheel for any competition or all-out bashing application. So far great. Love the looks and fit Rustler front well. Had losi 2.2 wheel/tire on front which had a terrible bead style that completely broke off all the way around. Traxxas bead style fits/glues so much better and doesn't have a lip to break off. Ordering matching rears now.